The awkward truth is that part of the collection is produced in conjunction with Diesel; the carrot-jeaned, be-logoed, herbert-wear, beloved of, well… presumably someone? Indeed, this is doubtless the first ever mention of Diesel on this site – which if nothing else, illustrates what an inglorious snob I really am. Anyway, as I was saying, some of the collection is x Diesel and some of the collection is pure Rubchinskiy. And it is a huge collection; check it out over at Dover Street. This jacket caught my eye if only for its unfettered madness. 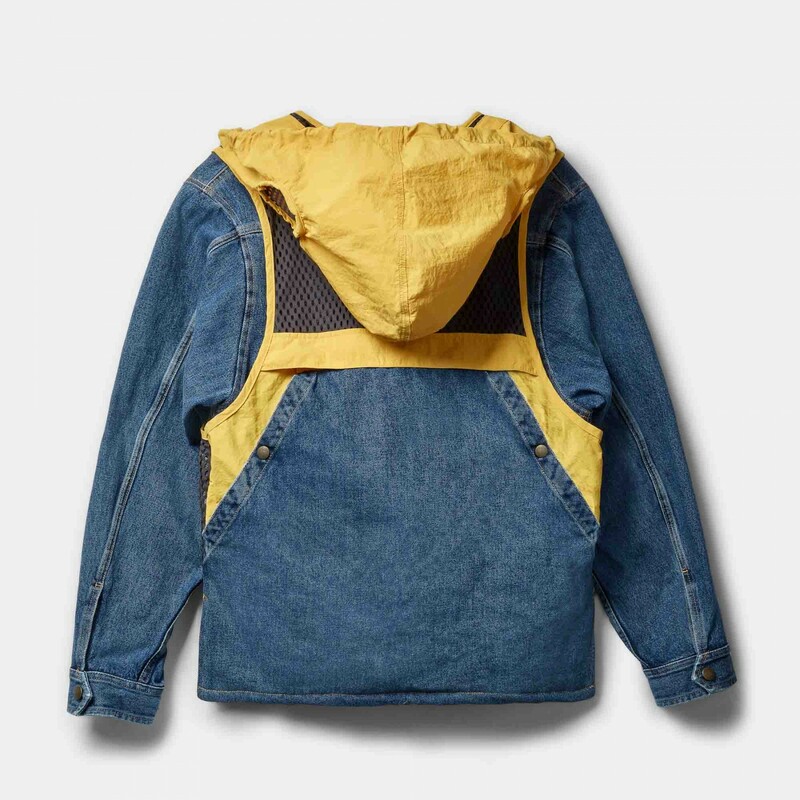 It’s a jacket and a vest, and a brace of thin pen pockets, and a hood, and a little tab across the chest, and denim and yellow and mesh. It’s Gilets Jaunes a la mode. It’s Schoolly D on a building site. It’s not for me.